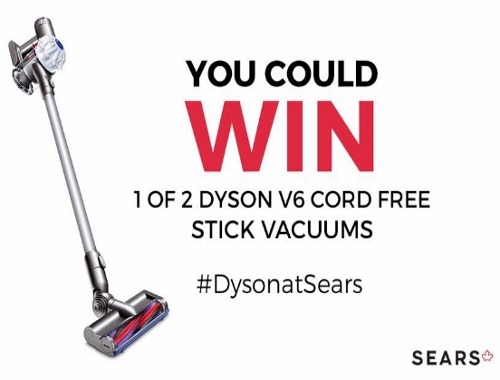 Sears is giving away Dyson V6 Cord Free Stick Vacuums! Enter to win 1 of 2 at the link below! All you have to do is comment at the link below with the hashtag #DysonatSears telling them why you want to win and your least favourite chore. Contest closes April 27, 2017.